빌뉴스, 리투아니아의 필라레타이 유스 호스텔 | 호스텔월드에서 예약하세요. Changes in numbers are acceptable not later than 14 days prior to arrival. After that no deposit will be refundable. Hostel reserves the right to ask for a deposit to be transferred to our bank account to make sure the group will arrive. Filaretai hostel is located in so called Republic of Užupis – a unique social – cultural phenomenon, the bohemian heart of the City, which is also a part of the Vilnius Old Town. 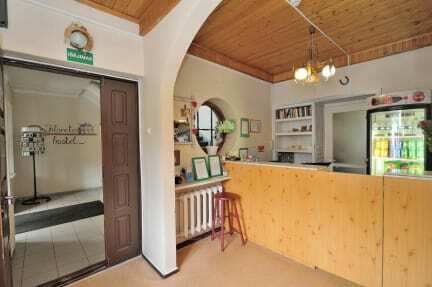 All the main Vilnius landmarks and other points of interest are within walking distance. Get all the benefits of Staying in the Old Town without all the noise or commotion. There are 22 rooms in the hostel, ranging from one bed to six beds. Altogether, the hostel hosts 84 beds: single/twin rooms with TV's for those who need more privacy and peace, private rooms for those traveling in bigger groups and shared accommodations in dormitory-style rooms with 4-6 beds for those who comes alone, but wants to leave having made new friends. Free WI-FI connection is available in the rooms as well as in the common areas. Our guests can also use the self-service kitchen, the dining room and the common room with computers, TV and a Foosball table. If you are coming with a car, there are also free parking spaces. Hostel's front desk is open 24/7, so you can check in and check out even if you have a late bus or an early plain. The reception staff would be happy to answer your questions at any time. Here you can get free maps of Vilnius, information about car rental, sightseeing as well as other bots of information about Vilnius or Lithuania that you may find useful. At the reception you can also buy soft drinks and small snacks, such as crisps and chocolate.